For sushi fans! In Chopsticks by Amy Krouse Rosenthal these guys are practically attached at the hip. Hang it on its own or pair it with Spoon prints! Print is giclee-printed in Massachusetts by an expert printmaker and is a signed open edition. Color is absolutely vibrant but due to the handmade nature of some of the items, slight variations may occur. The paper is 100% cotton fiber and is acid and lignin free. Its 310 GSM white OBA-free mould made textured fine art paper and is 100+ years archival certified. Paper area is 9" x 9", image area is 8" x 8". Orders are shipped from my studio to you in 2-5 business days. This print will be mailed flat. 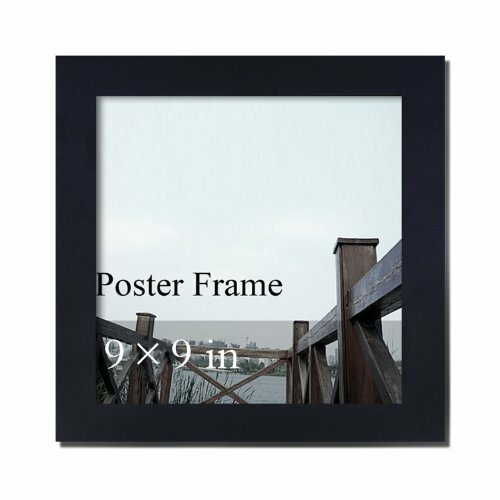 Adeco Decorative Black Wood Wall Hanging Poster Photo Frame, 9 by 9"